One of the favorite pastimes of liberals is trying to convince Christians that God does not care about football. They will claim that praying does not effect the outcome of a football game, though the truly devout ignore the liberals masses and routinely visit prayer booths during football season to make sure their team gets favor on Sunday’s big game. It is good to see that once again Tim Tebow’s faith is helping bring more people to Christianity. The atheistic Denver Broncos, with their cannabis consumption unfairly giving their cornerbacks uninhibited athletic prowess and their aging leader –Peyton Manning — an unprecedented level of sharp, impressive command of the football field, did Peyton Manning wrong, trying to make him believe that God did not want him to be a cornerback. “If you only betray God’s plan for you to be a quarterback to not only lead a team, but to lead fans to Christ, we shall let you be a running back,” a fork-tongued John Elway purportedly told Tebow as the two looked down upon Sports Authority Field at Mile High. Tebow did not succumb to Elway’s wiles and instead, suffered much for his faith. Teams mocked him and he lost out on a job to possibly illegals. 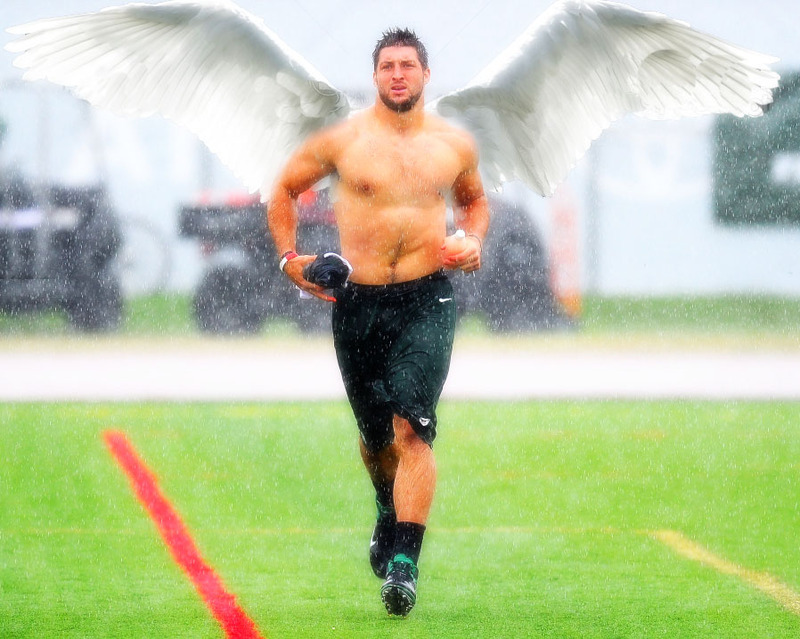 But Tebow did one thing: he kept his hope in the Lord and now we see he is mounting up on wings as an Eagle. The Bible literally predicted this would happen for Tim Tebow, so this proves that God does pay attention to football and betting people should get Tebow on their fantasy football teams for this upcoming season.